"Losing the all-rounder obviously has an impact,"
India haven’t won a Test in Australia ever since 2008 and Virat Kohli and his troops have a golden opportunity ahead to roll their opponents over in the four-match Test series, which gets underway tomorrow at Adelaide Oval. Going into the series, the visitors are deemed to be the favourites as the Aussies will be without the likes of stalwarts in the form of David Warner and Steve Smith. However, India would also be missing one of their key players, all-round cricketer Hardik Pandya. 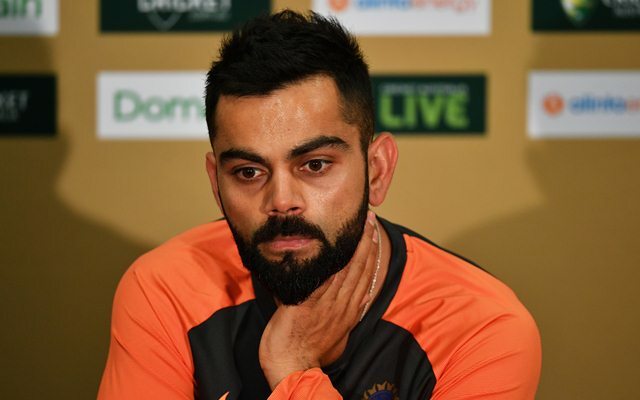 The Baroda played wasn’t included in the squad for the reason that he is recovering from an acute lower back injury, which he suffered during India’s Asia Cup match against arch-rivals Pakistan in Dubai back on September 19. Quite expectantly, Kohli is worried by his absence. “Losing the all-rounder obviously has an impact. I mean every side would like to have a fast-bowling all-rounder, which we don’t have right now with Hardik (Pandya) injured. That obviously is a great luxury to have for any side,” Kohli was quoted as saying prior to tomorrow’s match. “We don’t, so we have to go with best possible combination. Again, the workload on guys who will play in the absence of an all-rounder will be high but that is something that has already been discussed,” the 30-year-old added. In the meantime, Pandya seems to be gaining back his fitness. A few days ago, he shared a video where he can be seen bowling with his full run-up. India’s ODI series against Australia starts on Saturday, January 12 and Hardik would be keen to stake his claim back in the national team. Earlier today, the Board of Control for Cricket in India (BCCI) announced a 12-man squad for tomorrow’s match. India are yet to win a Test series Down Under and Kohli’s men would want to defy records and put their best foot forward in the fixtures.